Sometimes, there's just no rhyme or reason why these things happen and there's no telling what our pups get into while we're gone. 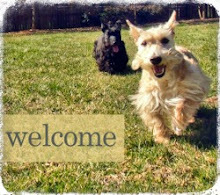 As a somewhat seasoned Scottie Mom, I'd like to think my condo is pretty much Scottie-proof. You'll find nothing on the floor (except food and water bowls, of course), no sharp cornered furniture, and nowhere for Miss Heather Beather to hide underneath (except the hooman bed, when Scottie Dad isn't around!). So why, nearly three months to the date, does she get a nearly identical injury on the back of her head? That's a question neither myself or the the vet can seem to answer. Let me set up the scenario, as I know it. Once again, only Scottie Dad was home. He had just returned from a trip to Chicago. You might remember from the first incident that Heather last banged her head on one of favorite (and now nonexistent) hiding places in the corner near Scottie Dad's guitars. Immediately after the last incident, those guitars were moved as they seemed to be the only thing Heather could have bumped into. Today, Scottie Dad said there was no bumping into anything of any kind and yet, when he went to take the leash off after an afternoon walk, he noticed the back of her head was once again red. Upon closer examination and much to his disbelief, he saw that Heather had somehow reopened the wound from nearly three months ago. It was at this point I get a few frantic calls at work, although I cannot answer them. Scottie Dad texts me that there has been an emergency. The situation as he explains it makes no sense. How did this happen? Why only when I'm not home? What did he do? This time, we had a problem: I had borrowed his car for work while he was in Chicago (the Scottie Mobile decided to overheat and stop running just two days earlier) and so he couldn't take Miss Heather to the vet until I got home. As soon as I could, I hopped in the car and went to pick up Heather, who took another trip in Scottie Dad's forbidden, sweet ride. The vet is as confused as I am. They take her back and discover scar tissue that makes it appear as if the old wound may have not healed properly and something caused it to reopen. The vet is confident that this was not caused by a bite (not that Mr. K would ever do that to his sister!) but also feels confident she had to hit her head on something. The scar tissue is indicative that the wound is older but then the cut itself is fresh. The vet tells me there could be a number of explanations: 1) it was some sort of head bump, plain and simple, or 2) there is an underlying cause (i.e., cancer, Cushings, etc.) that keeps her immune system low and hence, why the first wound may have never healed properly. Scottie Dad has since added a third theory: he has never agreed with the fact they only put in one staple the first time this happened. The rationale - as we were told - was so that the liquid could drain from the wound. Tonight, they put in FOUR staples for a wound the same size (and in the same exact location). He thinks the vets simply didn't do it the way they should have the first time, making it harder for the wound to heal in general and thus, making the skin in this area more susceptible. My only problem with that theory is that the staples really and truly were effective in closing her up when she had major surgery to remove the cancer - EIGHT staples held her side together, in fact. And, much like last time, the right eye is again acting up. It closes while the other one remains wide open. Luckily, the vet explained to me last time that this is usually just a result of stress and it will go away. In the meantime, we're back to the one eye drop three times a day to make her feel comfortable. She'll also be taking one antibiotic every 24 hours to reduce the chance of infection around the wound. Not to worry, though, Heather Beather is in the highest of sprits - it is as if nothing happened today. Here's where I need your help, fellow Scottie Moms and Dads: has anyone ever experienced the vet's second theory of how an underlying health issue caused a wound like this to not heal properly? 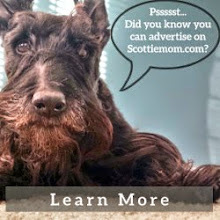 Of course, hearing the evil "C" word will scare any Scottie Mom into action. The vet offered a second option which I believe to be a bit extensive given the circumstances, where they would biopsy some of the tissue from inside the wound, take cultures and a few other things that would help them determine if there is indeed another cause like the evil "C." This would require she be under anesthesia and I'm all about avoiding that whenever possible. Plus, there's always the possibility that it would come back clean and we'd be just as confused as we are right now. However, I do not want to be the negligent Scottie Mom and miss an opportunity to catch something early. We've already battled the evil "C" once and we can do it again, although I sincerely hope we do not have to. 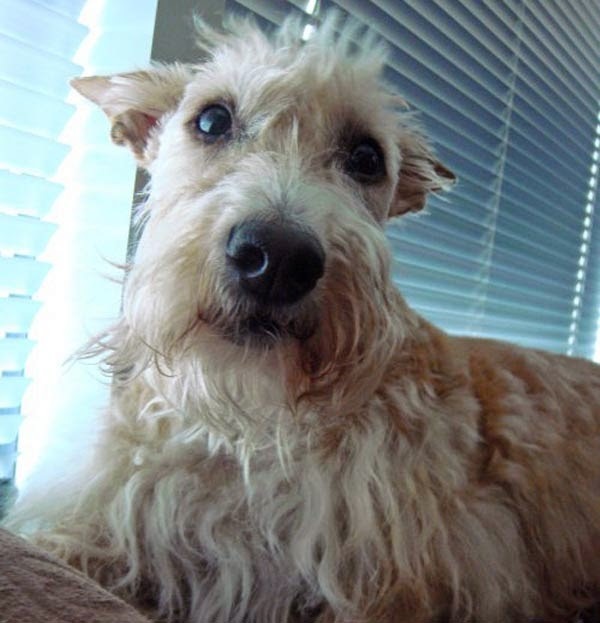 I have two weeks until Heather and Mr. K go in for the annual physicals and we'll get to discuss today's events with Heather's main veterinarian, the one who helped her beat the evil "C." However, I'd love to get other Scottie Moms' and Dads' thoughts. We'll be doing another round of blood work on Heather to make sure her liver values are continuing to normalize and I'm even considering having her tested for Cushings so we can rule that "C" out along with the even more evil "C." All I know is that after everything we've been through, I don't want anymore medical mysteries and I'm hopeful we can look forward to a healthy and vet-free year sometime soon! I don't know about Cushing's because I have Addison's disease which is the exact opposite (too much hormone vs not enough). I had pancreatitis in March, but there was no visible bleeding (except for His wallet-$2,700 in one month). I don't know. I certainly hope Heather gets to feeling better! Our Cassie was also plagued with a variety of strange and sudden ailments that we couldn't quite figure out and it could be very hard to deal with at times because they, of course, only served to stress her out more which did not help her healing or overall health. Looks like you're turning into ScottieDetective as well as ScottieMom. This is so bizarre. Sorry that we're unable to help with anything useful at this moment. We're gonna go off and see if we can find something out! I will cross my paws for a healthy and a vet-free year. Sorry to hear about Heather. Noodledog tends to run with her head down some of the time, then bumps into things with the top of her head, right between the ears. I have seen her hit hard, with a loud thump noise, and she just shakes her head and keeps going. . Could Heather have run into a wall while chasing or playing with Mr K? Poor Heather! Feel better soon sweetie! We have a dresser that you would swear a good sized Scottie could not get under....yet sometimes for no apparent reason Miss Bonnie flattens her ample self enough to squirm underneath. There are decorative swirls that prevent her from escaping out the front and she can't seem to back out, so we have to lift the dresser for her to escape. It is such a close fit, furs get pulled out on the rough bottom surface. We finally put some boxes under there to keep her out as we were afraid she would do this when we weren't at home and get hurt trying to get out. You might want to look at places you thought she couldn't get into. If you looked at this dresser and Miss Thunderbutt, you would swear she wouldn't fit! She is a large boned big Scottie ,24lbs trim weight.